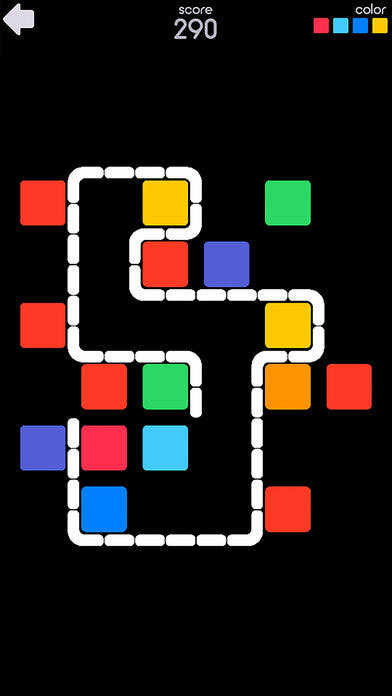 Do you enjoy puzzling your day away playing simple puzzle games on your smart device? 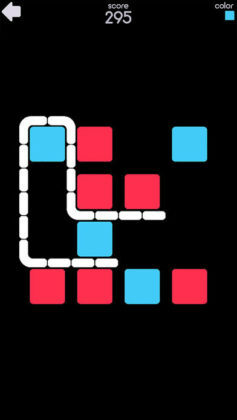 If so, today we’ve got an interview with the developers of a stylish new puzzle game for your smartphone. Before we start we’d like to thank the McPeppergames Team for participating in our interview and for answering some of our geeky questions! Thanks guys! 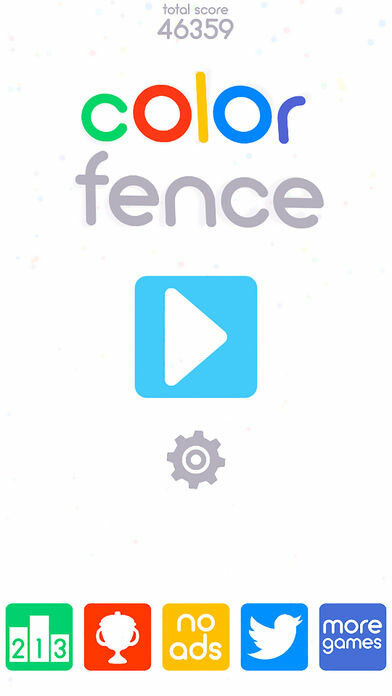 You can also check out our review of Color Fence here. Ok first up, why did you decide to make Color Fence? I have to go a little further: McPeppergames has been around for 5 years now and although we are from the field of PC games/browser games and mobile games, we have so far exclusively focused on the development of learning games for children at the ages of 2 up to 8 years. Our long-term goal, however, has always been the parallel development of games for all ages. That is why, over the past few months, we have begun to develop our first three games for players of all ages besides children’s games. COLOR FENCE is our second game from this new game “package”, and the idea is based on a mix of our own favorite games and research to find out what kind of games are in demand. In addition, the topic of fencing seemed very present to us. News articles about walls and fences are reported almost daily. Whether it is the planned construction of a wall between the US and Mexico, or the frontier fences in Europe that are meant to curb the flow of refugees. We thought that the subject would also reach players at a subconscious level. 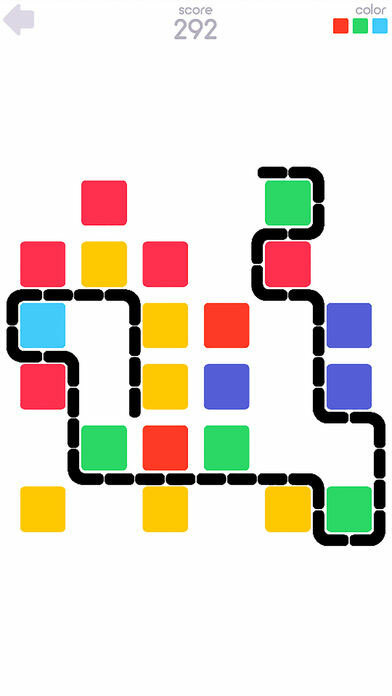 The game, therefore, has something like a philosophical core and is also intended to encourage players to think about boundaries and the real world we are all living in. Can you tell us a little about how the simplistic visuals were made in Color Fence? Our very first prototype of the game had a brightly colored look. This was just too much and we quickly realized that less is more in this case. We then experimented with the most popular colors. Since the idea of the game is exclusively about COLOR FENCES, we were able to work on the simplification of the game from this point onwards. This is a step which should not be underestimated since it is also very time-intensive. If you want to implement it correctly and appealingly, then you have to pay attention to every little detail. What advice would you give a new player trying Color Fence for the first time? We already had a lot of feedback from players and therefore know where the entry problems are. For example, some of the colors in the game were too similar and were difficult to distinguish on some displays. To a certain extent we had planned this, but on some devices, the difference was very difficult to detect. Some players also had problems seeing exactly where the fence can be drawn. For this reason, we quickly created an update for the game, which is currently available. In the new version, there is now an EASY HELP mode in which players can alternatively play with other colors and see round markers where empty fields are set. Players should also know that as a small indie developer studio, we have to show advertisements between the levels. This is the only way for us to offer the entire game and all game content 100% free of charge. A small InApp purchase can alternatively remove all the advertisement and a rating in the App Store greatly supports us in the development of new content for the game and also in the development of new games. My last advice to new players is: “Play the game in a quiet minute and try to make it to the secret box.” There you will find more action. But I do not want to spoil the box content and say too much here! Ok, now for some geeky questions. 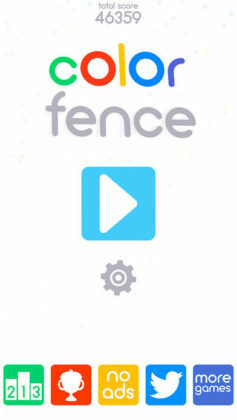 What programming language and or software did you use when making Color Fence? We have developed COLOR FENCE with Corona SDK. The advantage for us was that we could release a version for Android as well, and it was also the perfect basis for a 2D game. Programming with Corona is done with the language LUA. Working with Corona SDK for us was a great pleasure, not only because it is easy to use and you can do very fast prototyping, but also because the guys behind the SDK are very helpful with any kind of questions during development. What was the hardest problem you needed to overcome when developing Color Fence? The first problem emerged during the search for ideas. We saw in other minimalistic games that they were likely to be developed over months, only to be copied hundreds of times by other developers in just a few days. We wanted to make the game mechanics complex so that it can not be copied so easily. This took a few months. The algorithm behind the fences is not to be underestimated. Looks easy, but it is not. Most ideas come from the fact that we all like to play. We then simply look at what kind of games we like and which games are particularly appealing to us. Then we try to find fresh ideas that are unique but not too strange. In a combination of all the other things in life that surround us daily, the first ideas arise, which we first set in writing. If the ideas are still interesting after a few days, we start and develop a prototype for a game. If the prototype feels right and is fun, then in the ideal case, we develop the final game in the final phase. A few words to Color Fence fans on Edamame Reviews. We are currently working on the next updates for COLOR FENCE. We will soon release new themes for the game and also new levels. We also consider the player feedback for the new updates. As long as there is enough interest in the game we will work on new updates to improve the game and give it more content. As you could see in our announcement in COLOR FENCE, we are also working on a game called COLOR DEFENSE, along with new updates to COLOR FENCE. This is to appear before Christmas and is an action-loaded tower defense game, which will tie players to the displays for many hours. If you don’t want to wait that long, you can download our already released game. It is named “Mr. Robinson” and is about an old grumpy guy who has to escape attacking birds. 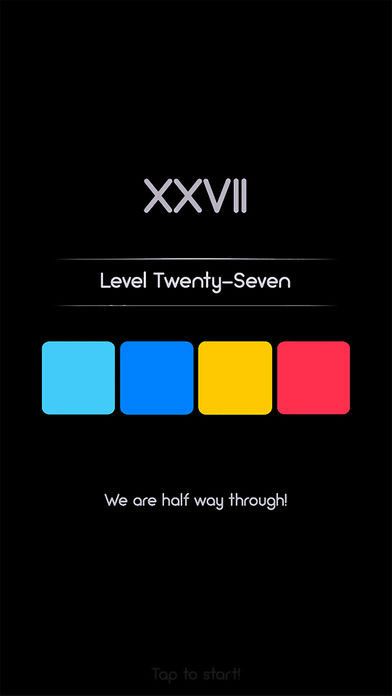 The game is an endless runner with RETRO optics and is aimed at players who just want to have some quick fun while scoring better than their friends. Finally, I would like to point out that all our games for children should be downloaded. That helps us tremendously in the fact that we can continue to create new games for older players. All our iOS games are available here. And in case you want to play our Android games, you can get them on Google Play here. There you can find more details about current and upcoming projects. (Edamame) A fun Tower Defense game is always welcome on Edamame Reviews! Love our interview with the McPeppergames Team?